Two of Oregon's most prominent suburbs, Hillsboro and Beaverton, are located in the north part of Oregon's Washington County, and offer many activities and attractions for visitors, whether you arrive on business or for pleasure. Situated in a relatively-flat valley west of Portland, Hillsboro and Beaverton are part of the Silicon Forest, home to such major companies as Intel and Nike. U.S. Highway 26 is the primary freeway through the valley, with many travelers passing through on their way between Portland and the Oregon Coast communities of Astoria, Seaside, or Cannon Beach. With the Tualatin River winding through the valley, the Hillsboro region is lush and fertile, and parks and green spaces are abundant, making the area a haven for nature lovers. Regardless of your reason for visiting, here are nine great activities to enjoy in Hillsboro and Beaverton. Nature and the outdoors are tops among the fun things to do in Hillsboro and Beaverton. There are numerous parks where you can spend time outdoors, throw a Frisbee, play a game, or simply relax with friends and family. The Tualatin Hills Nature Park is among the most popular; this diverse preserve spans more than 200 acres, with wetlands, forests, and streams. Whether you choose to hike, bike, or simply picnic, you'll see loads of wildlife at this stunning park. In addition to sharing the history and culture of the region, the Washington County Museum presents traveling exhibitions on many fascinating topics, from comics to astronomy. Items displayed from the museum's collection include the original 1853 county jail, Native American artifacts, historic photographs, and objects related to the local industry. The Washington County Museum is located at the Hillsboro Civic Center Plaza Building. Rockhounds, geologists, budding scientists, and anyone who loves pretty shiny things will enjoy a visit to this modest yet impressive Hillsboro museum. Located in a historic ranch-style home, the Rice Northwest Museum of Rocks and Minerals displays gems, fossils, meteorites, crystals, lapidary specimens, petrified wood, and much more in themed galleries. The Northwest Mineral Gallery features treasures from Oregon, including the world's largest "opal"-filled thunder egg, a nodule-shaped rock, similar to a geode. The Rice Northwest Museum's gift shop offers books and supplies, collectible stones and mineral specimens, and jewelry. 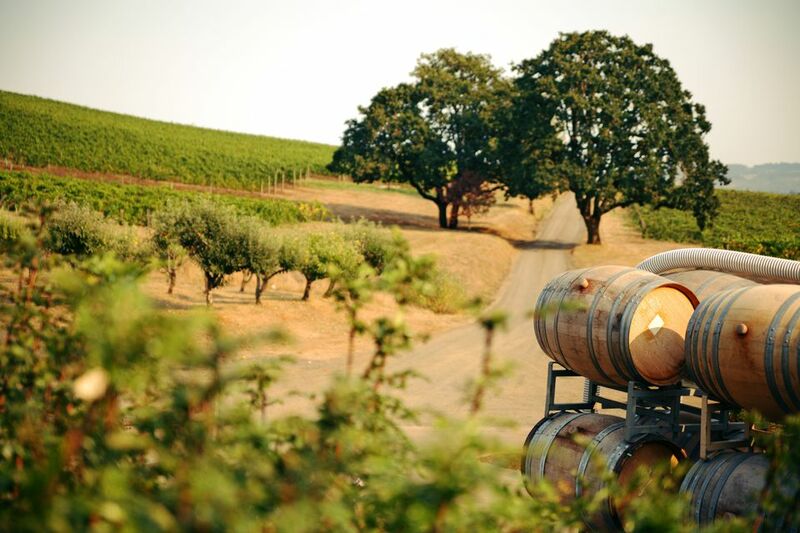 Oregon is well known for its wineries and the Beaverton area is home to several that welcome visitors. Guests at Ponzi Vineyards have the opportunity to check out the historic cellar, vineyards, and winery grounds, and to sample Ponzi's acclaimed wines, which include pinot noir, pinot gris, and white riesling. At nearby Oak Knoll Winery, in Hillsboro, the tasting room is located in the bottle-aging cellar, making for a cool place (literally) to relax and sample the winery's award-winning Oregon pinot gris and pinot noir cuvees. Despite their small sizes, both Hillsboro and Beaverton are home to several venues where you can enjoy the performing arts. At Bag&Baggage, Hillsboro's professional theater company produces well-known plays in novel ways, performing out of The Vault, a former bank building. In Beaverton, Beaverton Civic Theatre is volunteer-run and puts on comedies, dramas, and holiday plays, all performed at the Beaverton City Library Auditorium. Occupying its own hangar at the Hillsboro Airport, the Classic Aircraft Aviation Museum showcases aircraft and aviation equipment. Impressively, the museum focuses on aircraft from the Cold War-era; highlights include the Soviet-era Mikoyan-Guevich MiG 17FM, but you'll see planes and artifacts of other types and other time periods as well. In addition to being a living history museum, the Classic Aircraft Aviation Museum offers air shows and special events throughout the year. In addition to great wine, Oregon also has a strong brewing (and growing distilling) tradition. In Hillsboro, visit Vertigo Brewery & Taproom to try a selection of Oregon microbrew, or check out Cornelius Pass Roadhouse & Imbrie Hall, for an authentic farmstead that's also home to an onsite brewery and distillery. The Tualatin River runs about 80 miles from Oregon's coast to the Willamette River, but a prime stretch is accessible from Beaverton and Hillsboro. The Tualatin River Water Trail has a very slow current, making it the perfect place for paddlers of all levels to enjoy the scenic Oregon countryside. From February through November, visitors can shop at the state's largest all-agricultural market, which sells locally-grown produce and other artisan food products. During the summer, don't miss the market's "Local Liquid" section where sellers of local spirits, beers, and wine hawk their wares. There are few better ways to spend a rainy day than at an arcade and Beaverton's Wunderland delivers. In addition to a selection of both new and old-school games, the giant complex is also home to laser tag and an affordable movie theater. Kids will enjoy playing the game, winning tickets, and ultimately, going home with a fun prize!